When you were a kid (and maybe now again as a parent), you’ve probably watched a dozen Disney movies featuring wonderful princesses. In these animated films, having your own happily ever after seems like an easy and simple thing to do. The characters kiss, head off somewhere romantic, and all their problems will magically go away. But now that you’re married, you finally realized that love is not as smooth-sailing and easy as it looks. As the years go by, you start feeling that the spark you once had is slowly diminishing. The kissing, hand-holding, and other things that you were doing 12 years ago suddenly felt so foolish or boring. All marriages have their rough patches. However, it doesn’t mean that it’s impossible to love someone for more than a decade. 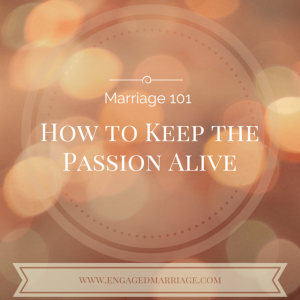 Here are some effective ways to maintain a healthy relationship that will last for a long time…and keep the passion alive! Have you met your fitness goals during the past few months? Did your husband managed to go beyond his quota at work? For these special occasions, you can pop open a bottle of Tesco Cristal Champagne and toast to your success. What’s more, you can also have a romantic dinner by candlelight while sipping a glass of light liquor. Celebrating even the simplest victories will give your relationship a positive vibe. Even the simple act of telling your wife that she is beautiful is a great way to create a healthy relationship. Look for the things that make your partner unique. Build a habit of pointing out her positive side instead of criticizing her every day. And wives, don’t forget that your husband would love to hear or read some affirmations, too! Do you still remember your first date? Do you have some pictures of your first international trip as a couple? Take a trip down memory lane and remember all those happy moments together! Remembering all those fun memories is a great way to change your mindset and attract a more positive vibe. When you and your spouse are going through a rough patch, going over the highlights of your marriage will give your relationship a boost. There will come a time when your partner will need a shoulder to cry on. Everyone needs someone to talk to. The trick here is to be supportive and show them that you’ve got their back. If your husband gets fired from work, avoid the urge to say something like “You should have put more effort in your work.” If your wife is having an argument with a friend or relative, don’t try to “fix” things and offer solutions just yet. Right now, your spouse just needs someone to listen. Be there and show your support and affection. Got any more tips for keeping the love and passion strong in a long-term relationship? Share your thoughts in the comments! The Bible tells us that the love of money is the root of all kinds of evil. But experience tells us that the lack of money is at the root of all kinds of marriage problems. A survey of Certified Divorce Financial Analyst® (CDFA™) professionals revealed finances to be the third leading cause of divorce, trailing only behind basic incompatibility and infidelity. Other lists put it at #4. It is always in the top ten. When you examine the lists more closely, you can see it all over the top ten lists. It appears disguised as other things. Consider basic incompatibility. 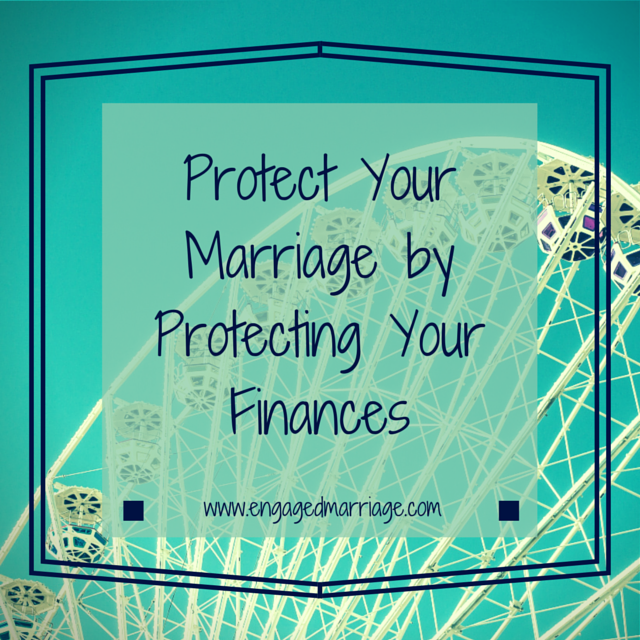 Finances are one of the main areas where couples find themselves incompatible. Lack of communication is another place where financial issues hide, as couples seldom communicate about financial issues until it comes to a boil. When you really think about it, money is not just on most of the top ten lists, it is most of the top ten lists. The challenge is keeping your marriage from becoming one of the data points for one of those lists. It is abundantly clear that if you do not deal with your financial issues before you get married, you will be working through them after you’re not. Assuming you haven’t yet tied the knot, it is not too late to make financial stability the priority it needs to be. In modern times in a free country, no one would willingly marry without love as a precondition. Sobriety may be another precondition. If it’s not, it should be. Stable finances should be in that conversation as well. That is not to say that you should use credit scores as a basis of marriage. But those scores should be known to both parties, and a part of the conversation. A low credit score may indicate bad luck, or irresponsibility. Either way, it is a sign of financial instability. 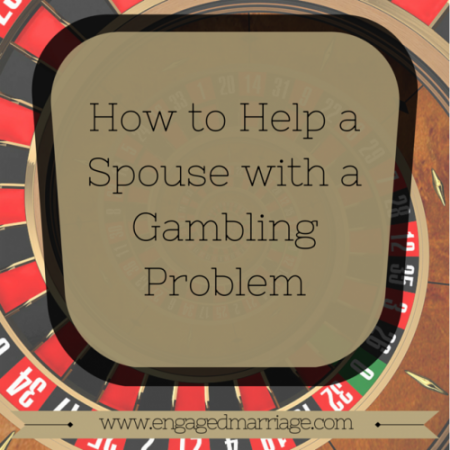 Why not wait until those issues are resolved before getting married? You are going to need good credit. While those issues are being resolved, you will have time to determine if there is an underlying matter of financial irresponsibility. Let that be a deal-breaker before, rather than after the marriage. Health insurance seems like an obvious place to start. You fell in love with someone you consider strong, beautiful, and talented. Both you and your spouse are smart and nicely employed. What could possibly go wrong? How about a tumble down the stairs while carrying the groceries, or an auto accident, or a brain tumor? What could go wrong? Everything! Lost health means lost work, means lost income. Slightly less obvious is insuring your stuff. Just starting out, you might decide to rent instead of own. You might also be under the delusion that you do not have much by way of possession. But seldom is the time when this is actually true. If you have to file a renters insurance claim due to a break-in or fire, you will quickly discover how much you have (had) to lose. Without renters insurance, you will have to find the money to replace all your clothes, jewelry, electronics and such. You may even have to pay the medical bills of anyone injured while in your rented space. 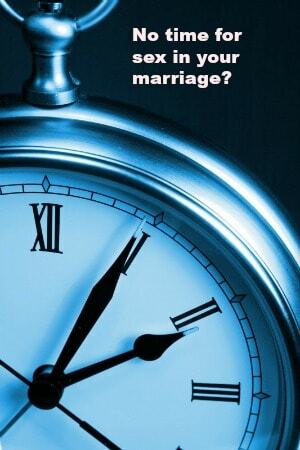 If everything is not insured, then anything can be a financial time bomb set to go off in your marriage at any time. A savings account is a type of insurance. It is a hedge against the unforeseen. When uninsured expenses happen (and they will), saved money can mean a saved marriage. It is debt that you do not have to incur, an argument that you do not need to have, and stress you do not have to experience. Savings is the difference between you remaining financially stable, and going financially sideways. Marriage is fragile. Some percentage of divorce is inevitable. 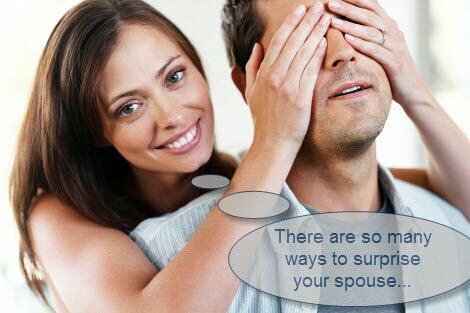 But it is tragic to have your marriage survive infidelity, shifting priorities, and boredom, only to be torpedoed by finances. That is one tragedy that can be avoided. How faithful and consistent are you in your prayer life? That can be a tough question to answer for many of us. I know that I struggle to keep prayer in its rightful place as a daily and meaningful practice in my life. When I do make the time to pray and have a wonderful conversation with God, it’s usually while I’m laying in bed at night at the end of a long day. Inevitably, I end up going off on some crazy daydream tangent and/or falling asleep before my “chat” is complete. To me, prayer is one of those things that should just come naturally, but it doesn’t always happen that way. I crave some structure (I am an engineer after all), yet I want to have a very personal and real conversation with our Lord. That means that simply saying the Our Father, while it’s wonderful, isn’t enough – I need to connect through a prayerful conversation. I’ve been struggling with this for a while, which is why I was so excited during Mass yesterday when our new priest started talking about having these same struggles in his early years of preaching. It was clear he could relate to the busy members of our parish. While he (rightfully) said that “If you’re too busy to pray, you’re too busy” – he also offered up a fantastic prayer that even the busiest among us can use as the center of their daily prayer life. 1. For the first minute, pray to God the Father and THANK HIM specifically for all the good things that you’ve experienced over the last 24 hours. 2. For the second minute, pray to God the Son (yeah, that’s Jesus) to ASK FORGIVENESS for all of your sins and wrongdoings over the last 24 hours. 3. For the last minute, pray to God the Holy Spirit to ASK FOR THE GRACE and strength you need for the particular issues you’re facing now and over the next day. I used this approach last night (and stayed awake) and again this morning during a morning run. To me, it’s a perfect way to focus on three different areas where I need God in my life, while also recognizing the mystery of the Holy Trinity that we believe as Catholics. Of course, you could modify the structure slightly to suit your needs and beliefs. 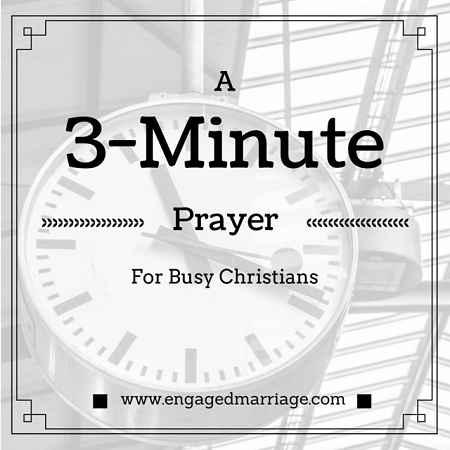 I hope this simple approach to prayer helps you make your relationship with God a daily encounter and enhances your marriage in the process. If you think this approach is helpful, I encourage you to share it with others by clicking the Facebook, Pinterest or Twitter buttons above or by sending it to a friend via email. Have you ever been so tired of or discouraged with what you do that you are ready not just to change jobs but switch to a completely different field? A young woman I know was in that very difficult place. She had been employed in the healthcare industry for over five years, working her way from a per-diem position to full-time, and she had recently been promoted from assistant manager to a management position. She was very excited about her new responsibilities, but it wasn’t long before she realized the fit was not right. After lengthy discussions with her fiancee about the pros and cons of the situation, they decided it was time to not only time for her to leave the job, but to leave healthcare altogether. The opportunity cost of staying was too great, and it was time for a big change. After taking stock of her skills and what she loves to do, and then researching businesses that might be a match, she decided to apply to a company that caters to creative consumers like herself. They do not accept online applications, so Ellie filled out the lengthy questionnaire, tailoring her experience to the needs of the company, making sure her responses were complete, well-thought out, and neatly and legibly written. When she was ready to hand in the paperwork, she wanted to make sure it would stand out. She knew she’d be in a large pack of potential employees because the company pays considerably above average for the area for hourly part and full-time employees. Plus, the company didn’t even have any positions posted at the time. After brainstorming different ideas for making her application memorable, she decided to put her creativity to use. She wanted to fashion a colorful envelope, something that would be eye-catching. It would need something on the outside—decorations, or perhaps a name or message—for some extra pop. She found the perfect inspiration on the company’s website career page where there was a statement in large, bold letters: We’re looking for you! She proceeded to create her envelope from bright red felt and applied white letters to read the following: I heard you’re looking for me. The most important role of the envelope, of course, was to get the right person curious about what was inside so she would be invited for an interview. When Ellie brought her colorfully packaged application to the business, she asked to speak to a manager. They spoke briefly, and he explained they weren’t currently hiring. He was amused by the envelope, however, and commented positively on it. With the delivery of her application complete, Ellie thanked the manager for his time and again expressed her interest in working for the company. A couple of months later, Ellie received a call from that same manager asking her if she was still available. 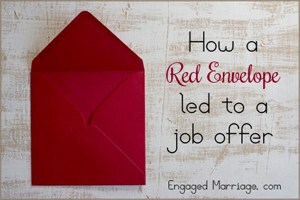 She went for her interview, and the first thing she noticed on his desk was her red envelope. The manager told her there had been a hiring freeze, but he had been intrigued enough by her approach to read and keep her information close by so he could call her when an opening came available. The questions and conversation began, and Ellie was hired that day. Her skills, personality, and experience were a match for what the business needed, and she did all she could to be sure her information was seen by the person who makes the hiring decisions. Consequently, this tale of a red envelope and a job offer had a very happy ending. The good news is that while the red envelope may not work in your situation, there are other similarly clever and related ways to get your application to the top of the pile and in front of the right person. The major difference between successful and unsuccessful job hunters is not skill, education, age, or ability, but the way they go about their job hunt. So, get thinking, get intentional, get creative, and get hired! Comment: What have you done or can you do to stand out to stand out to a potential employer?